As Shamans we are Technicians of the Sacred. With Knowledge and Power we apply the methods, tools and Maps of Consciousness that enable us to enter, with precision and elegance, the realms of the Soul. Within these realms – that co-exist, interwoven with our own mundane world – we are able to observe and experience directly the Tapestry of Creation. When one thinks of ‘Shaman’, invariably the image of a Drum comes to mind. 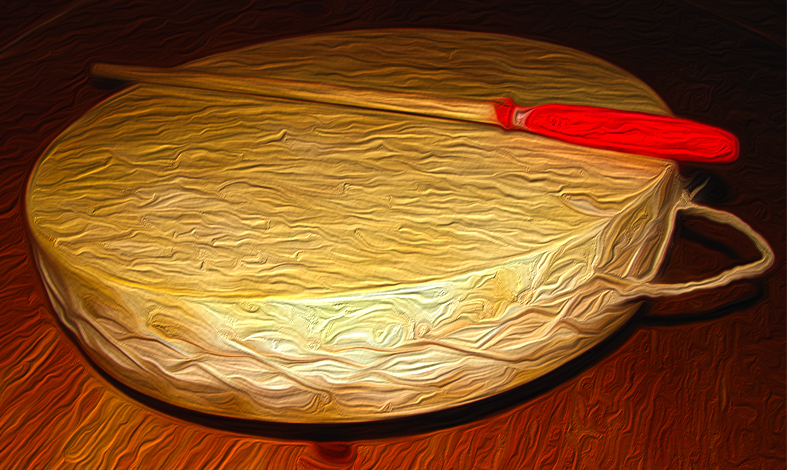 The Shaman’s double-sided drum is the tool/vehicle par excellence for journeying. 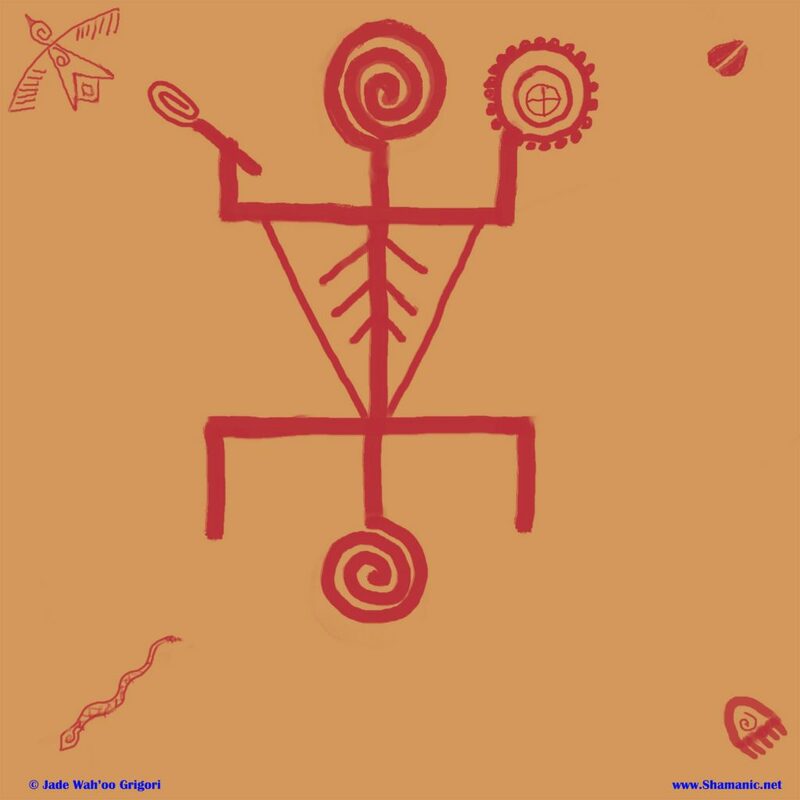 Knowledge of our bio-physical response to drumming, coupled with an intimate knowledge of the realms of the Soul – based upon an experiential history of traversing the portals between the mundane and mythic – enables the authentic Shaman to move freely between the realms of the World and the Soul. 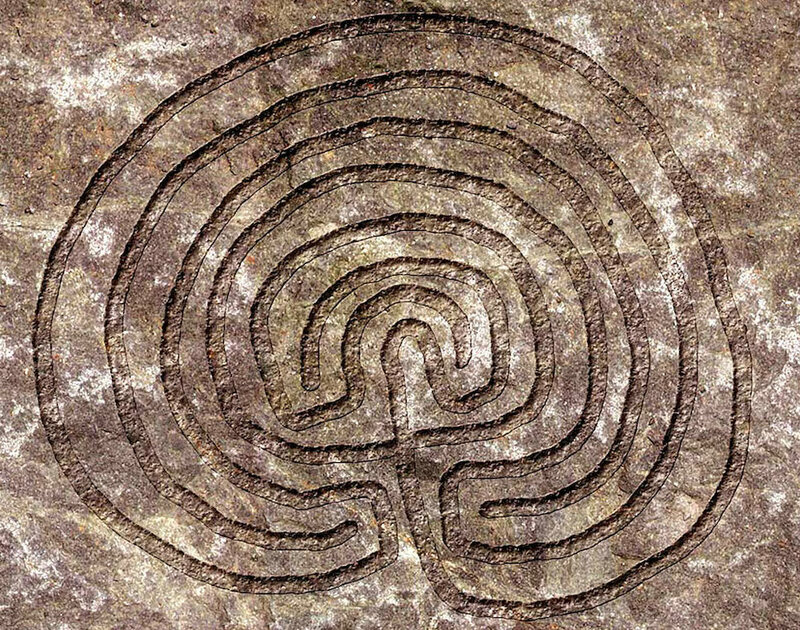 As the Calling of the Shaman is to make accessible to the Peoples ‘the Ways’ of Shamanism, she/he may, through the opening of the portals between the realms, enable others, as participants, to also embark upon that journey. So it is, that this journey, by way of Drum, is being offered into the Soul of the World! Every Shamanic journey has an Intention. The state of our own Soul determines the condition of the Soul of the World. The state of the the Soul of the World determines the condition of our own Soul. When the state of our Soul is one of love and honoring, the condition of the Soul of the World is one of balance and harmony. When the Soul of the World is in natural rhythm, the condition of our Soul is one of joyousness. If the state of our Soul is one of stress and disconnection, the condition of the Soul of the World is one of disruption and debilitation. When the Soul of the World is disturbed, our own Souls are in perpetual anxiety and disease. If we seek to heal ourselves, we must heal the Earth. If we seek to heal the Earth, we must heal ourselves. By way of Drum, into the depths of our Soul we will go. We will touch the Earth in the most honoring of ways, embracing the love and suffering that we ourselves have wrought within the vastness of her Soul. Utilizing the specific methods known in these Shamanic Ways, we will embrace her/our Soul in compassionate release, transmutation and healing. Use this handy Time Zone Converter. This ceremony takes place online with a video meeting. 10 minutes prior to the start time you will receive an email from me with an invitation to join a Zoom meeting in progress. Click the first link. You will be asked to sign in. This costs nothing, nor will you receive further emails from Zoom. Please insure, well in advance, that your computer/tablet/phone has its camera and audio functioning. Out of fairness to others I cannot wait for you to fix and adjust your settings. You can just join in when you have it figured out. To eliminate distraction, everyone but Jade will be muted once the ceremony begins. The first and last 5 minutes will not be muted, so that we may say hello/goodbye and have a discussion. This ceremony will be video-recorded. Following the ceremony you will receive an email from me with a link where you can download the video to your computer. That link expires in 48 hours.